Few things are as shattering as seeing a space full of promise and style left to fall into a state of decay. That is why our ‘before and after’ segments here on homify fill us with such joy, as we get to witness old spaces get reborn into something stylish and functional. Such is the case with today’s piece: a London apartment way past its heyday that was in urgent need of some style. We’re talking mismatched kitchen surfaces, a crumbling ceiling, and a bathroom that looked more like the inside of a forgotten prison cell. Enter professional team The Lady Builder who had the guts and the glamour to pull this place together! Nothing in the old façade made us stop in wonder. 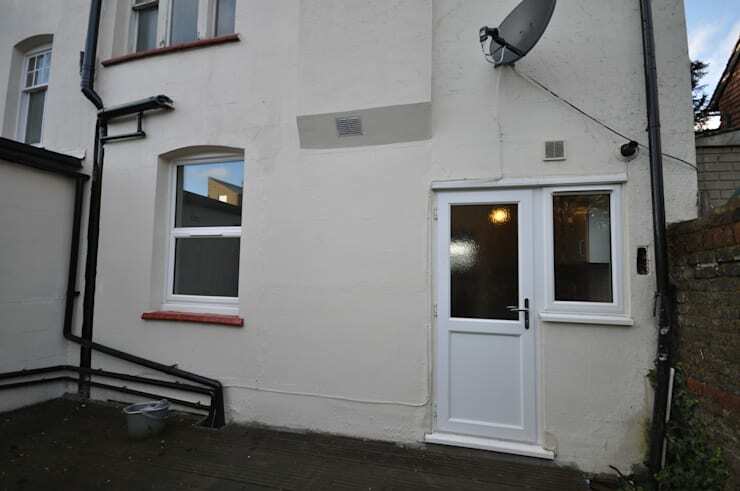 On the contrary, the stark white door only emphasised how faded the walls had become, which added to the entire structure’s decaying look. See how the decking appears to be rotting away. No doubt our professionals grabbed hold of this space just in time! 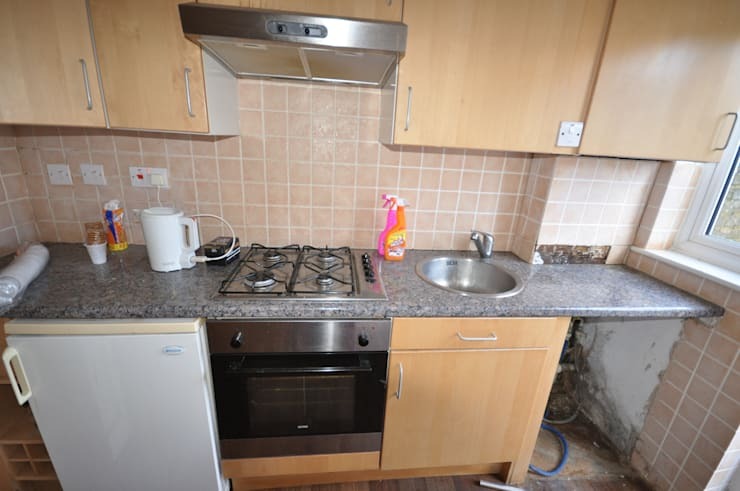 We can hardly believe this is the same space! 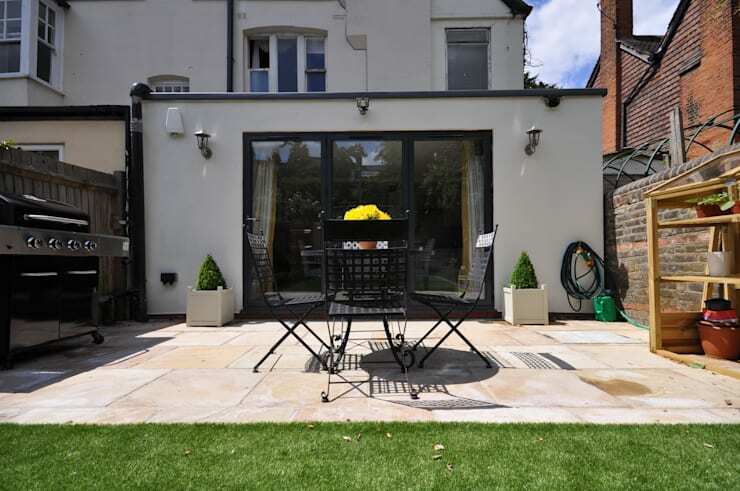 Our professional team opted for a modern extension, which completely revitalised the façade’s look. Full-length glass doors now open up beautifully onto the new garden, allowing an abundance of fresh light to enter the interiors. Notice how the fresh coat of paint makes the exterior walls much cleaner, and the way the little details (potted plants, wall lighting, etc.) add some delicious charm to the space. We just can’t wait to see what the rest of the transformed interiors look like! Ugh, not at all the sort of space one would want to spend time in, let alone cook or eat. The light timber cabinetry could have worked in another setup, yet don’t do much when paired with the messy surfaces and salmon pink tiles in here. Thank the heavens for clever designers! 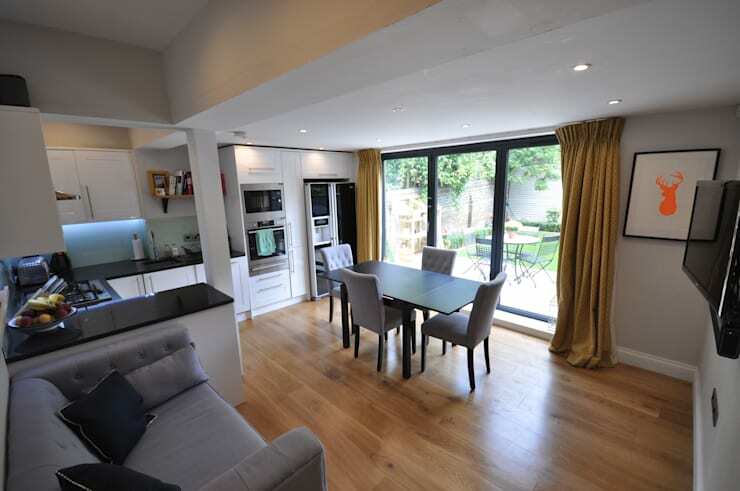 The space has been opened up fantastically to integrate the cooking- and dining spaces with each other, making both areas feel much larger and lighter. Fresh white cabinets have replaced the tired timber ones, which now beautifully define the modern kitchen. That monochrome colour scheme is a real winner in our opinion! What a massive difference. 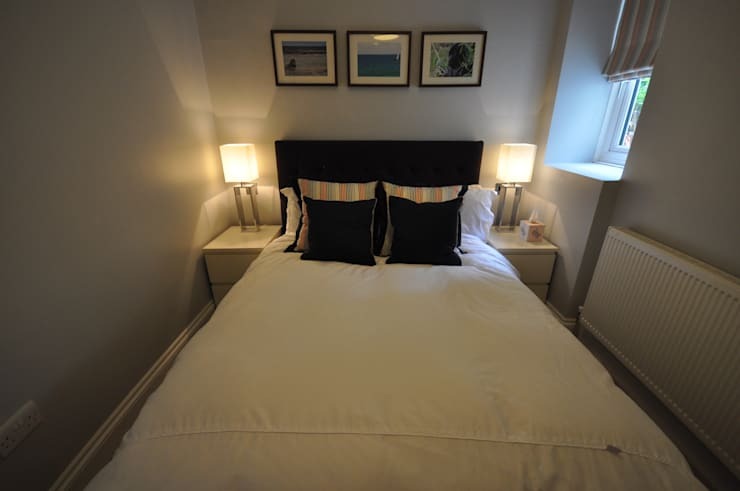 From a space that was caving in to a room exuding style and tranquillity – a much better choice for a bedroom. The neutral colour scheme goes a long way in making this modest-sized bedroom seem a bit more spacious, while the warm lighting and simple décor are most successful in exuding a calm and inviting sensation. Need to catch up on some zzz’s? Then see our tips on: Bedroom Decor for Peaceful Sleep. 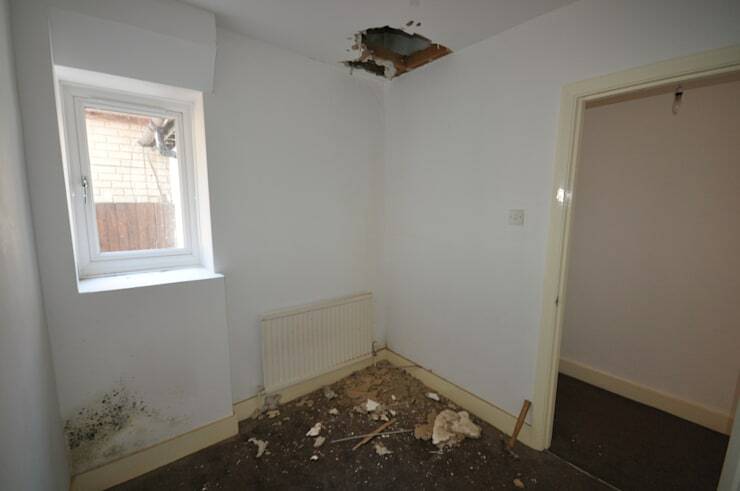 We really thought we had seen it all with the bedroom’s ‘before’ photo – but no, the old bathroom takes the cake. 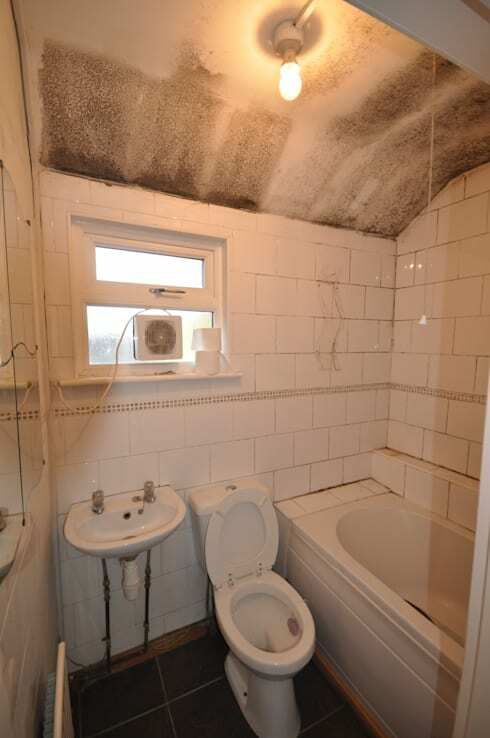 Even the blind could notice the mould on the ceiling (see how important it is to keep a bathroom well ventilated? ), while those hideous wall tiles are enough to cause permanent vision damage. Please, can we move on? Finally, a bathroom the owners can be proud of. Not only is the layout much more practical, but every new surface is an improvement. 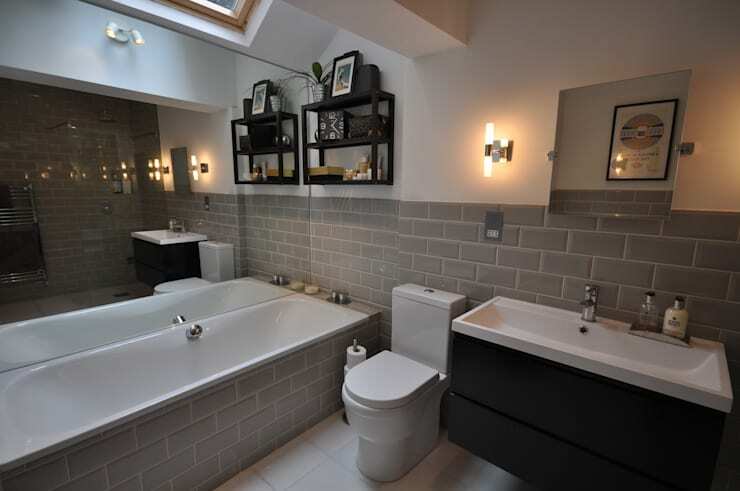 We love how the subway-style tiles add some industrial flavour to the room, while the mirror visually doubles up the bathroom’s space. And yes, that is a glorious skylight above the tub, ensuring some very calming bubble baths to be enjoyed in here. We’re curious what you think of this renovation, so feel free to share your thoughts in our comments section below.